I know I’m not alone when I say that I’ve definitely spent more time than I’d like to admit, aimlessly watching makeup tutorials. There’s just something so mesmerizing about the way the makeup artists effortlessly apply makeup in various ways, making it seem so easy. Somehow, something gets lost in translation when I try to do similar looks on my own skin. Makeup truly is an art and can be really difficult to make your face look the way you want it to. Here are four makeup looks and how to achieve them, even if you don’t have a single artistic bone in your body. No one likes having dry and flakey skin. Living in a dry climate can just make your skin woes more troublesome and the desired dewy look even more elusive. Luckily, there are a few tricks to make sure your skin always looks fresh and moisturized. Make sure you have a really good moisturizer. This is the most important thing to ensure your skin looks dewy. If your skin isn’t moisturized properly, your makeup will sit on the dry skin on your face, rather than blending beautifully into your skin. Picking the right moisturizer is so important to having a fresh face. Trying to pick the best moisturizer can get expensive. Head to your local Ulta or Sephora and ask for samples of various lotions and creams. This way you can try a few out at home before you have to commit to spending money on one. Use a hydrating primer. Primer is a great way to make sure your makeup blends perfectly into your skin. Use highlighter before foundation. This may seem a little counterproductive, since you’ll just be covering the highlighter with foundation. But if you use a liquid highlighter over your whole face, it will make your skin appear more dewy. Even though a smokey eye is a classic look, it’s a look that can be a lot harder to pull off than it seems. 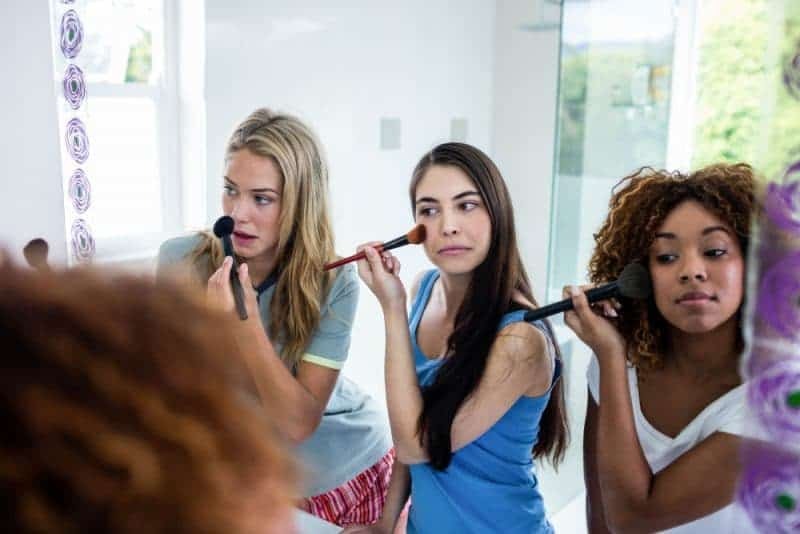 If you find yourself ending up with something that looks a lot more like a black eye than a smokey eye, try these tips. Use a more subtle color. 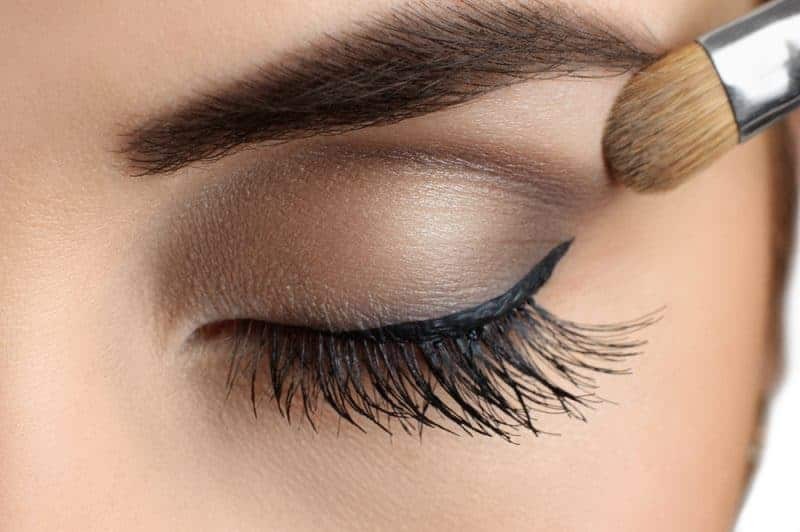 When you’re still figuring out how to pull off the smokey eye look, it’s a good idea to use a lighter color, such as a brown, so it won’t be as difficult to fix it as you go. A little goes a long way. Use a small amount of black (or other color) eyeshadow at the outer corner of the eye and blend it out. The more you blend it, the better it will look. Add a little shadow under the eye too. This is one of the best ways to ensure your smoky eye looks put together, by adding just a smudge of the color under your bottom lashline, as well. Applying lipstick seems like a no brainer. But playing with bold colors can leave you with a feathered color that doesn’t seem to want to stay put. Make sure the skin around your lips is moisturized. If your skin is dry, it will pull the color from your lips more easily. By having moisturized skin, you make cleanup a lot easier and the color will stay put. Line your lips first. This is another way to keep the color where you want it. Clean up around your lips with concealer after you’ve applied the color. Use a setting powder on your lips for a matte color that will last. Strobing is a less-is-more makeup look that will make you look put together and fresh with very little effort. Often, it requires no foundation and the use of highlighter instead of contour. Use a tinted moisturizer. 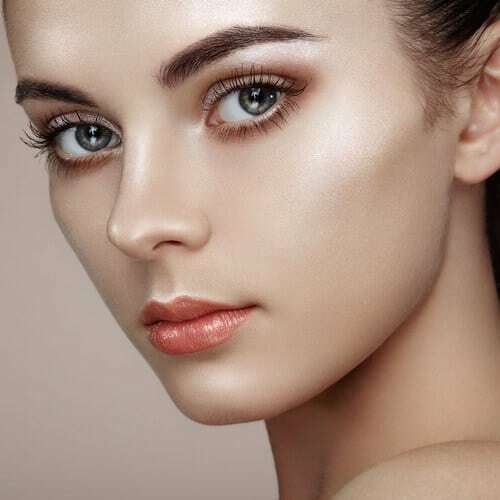 If you don’t feel comfortable not wearing any sort of coverage on your face, a tinted moisturizer is a light way to still get covered while managing to achieve the desired look. Use a powder highlighter on your cheekbones, cupids bow (the dip at the top of your upper lip), and the tip of your nose. This will highlight and make the most of your bone structure.